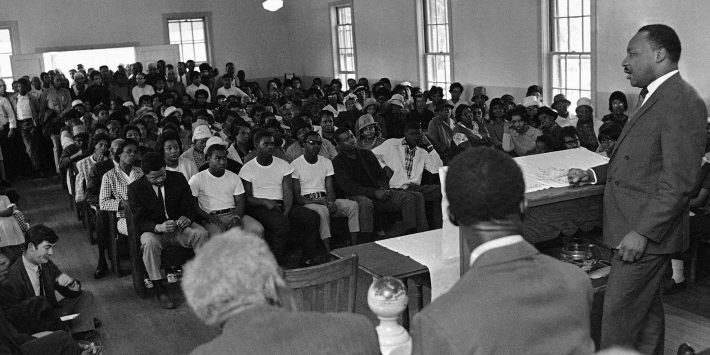 Dr. Martin Luther King recruiting for march on Washington D.C., at Batesville, Miss., March, 19, 1968. With the ongoing Vietnam War and fight for human rights, Martin Luther King Jr.’s last year alive proved to be a turbulent time. “Well, I don’t know what will happen now. We’ve got some difficult days ahead. But it doesn’t matter with me now. Because I’ve been to the mountaintop. And I don’t mind. Like any man, I would like to live a long life. Longevity has its place. But I’m not concerned about that now,” King said during his “I’ve Been to the Mountaintop” speech on April 3, 1968. King delivered his first public anti-war speech on April 4, 1967, hexactly one year before he was assassinated. During his speech, “Beyond Vietnam: A Time to Break Silence,” he firmly called for the end of Vietnam War that eventually claimed the lives of over 3 million people from 1955-1975. King’s speech at New York’s Riverside Church was met with backlash from war supporters and even his camp urged him to not speak against the war. 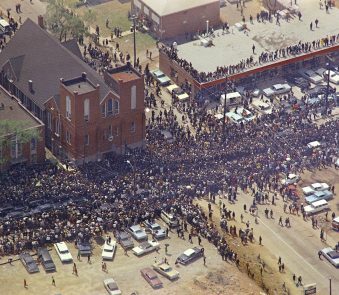 During King’s last year of life, his public messages went beyond just advocating for racial civil rights. He was on a crusade for human rights. 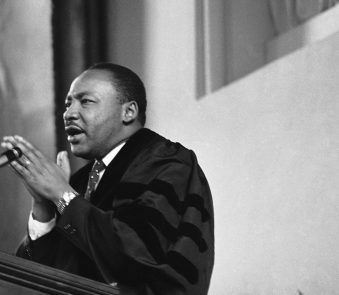 At the 11th Annual Southern Christian Leadership Conference in Atlanta, King asked the question “Where Do We Go From Here?” during his Aug. 16, 1967, speech that called out the issue of how millions were living in poverty at the time. He urged for people to see how racism, economics and the war interconnected. “What I’m saying to you this morning is communism forgets that life is individual. Capitalism forgets that life is social. And the kingdom of brotherhood is found neither in the thesis of communism nor the antithesis of capitalism, but in a higher synthesis. It is found in a higher synthesis that combines the truths of both,” King said in his “Where Do We Go From Here?” speech. King then put his words into action. On Nov. 27, 1967, just a month after spending four days in a Birmingham, Alabama, jail because of his 1963 demonstrations, he proclaimed that he would create the Poor People’s Campaign during a SCLC personnel retreat. The campaign that kicked off later in the year pushed for the upliftment of the impoverished through a just minimum wage, access to education and more job opportunities. In the dawn of 1968, King continued his efforts by declaring that the Poor People’s Campaign would march on Washington, D.C. The march would be to pass the Economic Bill of Rights that would use $12 billion to stop housing discrimination, foster expanded employment and ensure an income to those who can’t work. King wanted everyone to “be the first” in moral excellence, generosity and love. He spoke those words during his “Drum Major Instinct” sermon in Ebenezer Baptist Church in Atlanta, on Feb. 4, 1968. The speech uncannily foreshadowed King’s eventual death two months later when he told the congregation what he wants said in his eulogy. 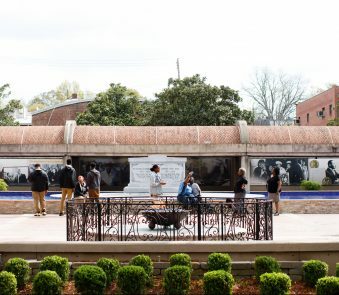 In March, King stood in support of the 1,300 black Memphis Department of Public Workers sanitation employees who went on strike for better work conditions and wages. The movement assembled after two garbage collectors died from a broken truck. However, the workers’ march on March 28 led by King took a turn for the worse when some young black people broke into business’ windows. This stunned King and is looked back on as one of his most unfavorable marches. The day before King died on April 3, 1968, he took to the pulpit of the Memphis Masonic Temple to deliver “I’ve Been to the Mountaintop,” which addressed how those acts of violence put a negative spotlight on their movement. 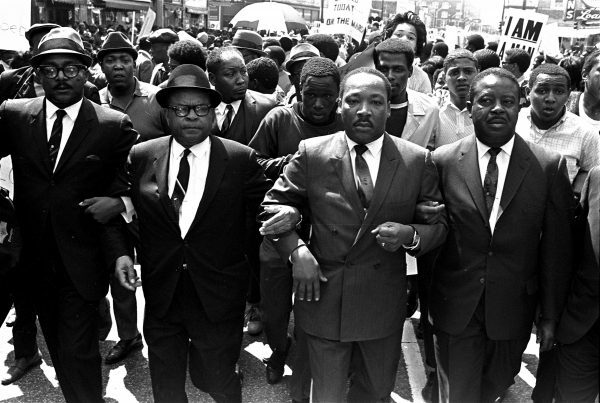 Throughout King’s life, he pushed for positive change through nonviolent tactics up until that fateful day on April 4, 1968. when he was sniped down on the balcony of his Memphis, Tennessee, hotel room.